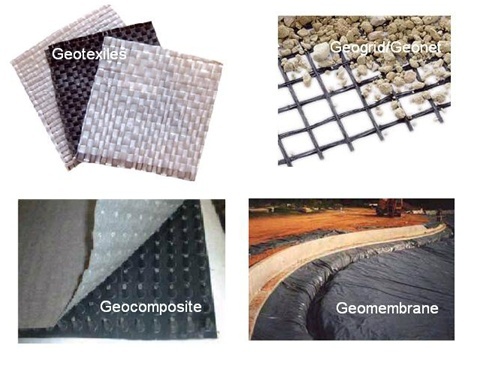 Procurement, Execution Supervision and Design Support (For Geo-synthetics and other specialized products) # Woven Geosystems # Geogrid # Gabions etc. You may like to read this..How Geo-systems Protect Life and Property? Geo-synthetic product based systems(Geo-systems) are used for various applications in civil,environmental and other engineering applications.For instance the thickness of the aggregate layer in a typical cross section for road construction can be reduced by using these systems (by also keeping in view of the provisions in the code, so that less of quarrying is required). Geo-systems should ideally facilitate sustainable #construction by reducing the use of natural materials like aggregates, sands and rocks etc apart from facilitating other functional supports such as filtration, separation and reinforcement qualities.Let us get into the details and see how far these systems are helpful? In fact the applications of Geo-synthetics in civil engineering being a vast topic only an attempt to touch the very basic aspect is made here.Thanks for reading . About Us: Our work is based on the philosophy that whatever we do should also be meaningful and adding value to not just the industry but to the society as well.